"Christian II" redirects here. For other uses, see Christian II (disambiguation). 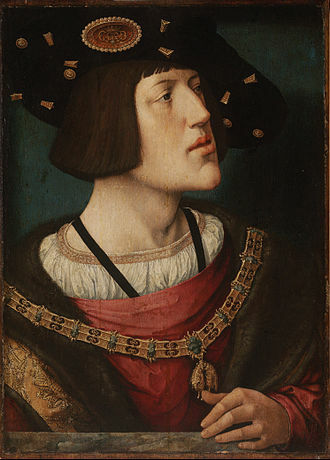 Christian was exiled to the Netherlands, ruled by his brother-in-law, Holy Roman Emperor Charles V. After attempting to reclaim the thrones in 1531, he was arrested and held in captivity for the rest of his life, first in Sønderborg Castle and later at Kalundborg Castle. 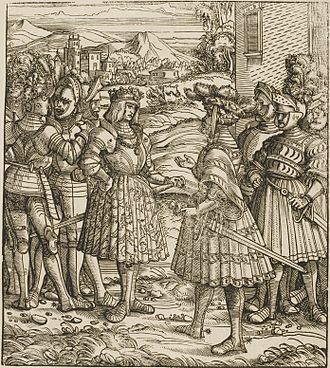 Supporters tried to restore him to power both during his exile and his imprisonment but they were defeated decisively during the Count's Feud in 1536. In 1515, he married Isabella of Austria, granddaughter of Maximilian I, Holy Roman Emperor. 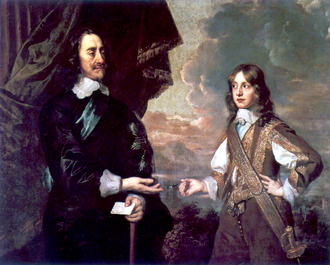 However, he is most known for his relation with Dyveke Sigbritsdatter, a commoner of Dutch ancestry who became his mistress before his marriage and whose mother became his closest advisor. When Dyveke suddenly died in 1517, Christian had the nobleman Torben Oxe executed, on dubious grounds, for having poisoned her. Dyveke’s mother would follow Christian in exile but his in-laws forced him to break their friendship. As a captive, he was treated well and as he grew older he was gradually given more freedom. He died aged 77, outliving his uncle and his cousin, King Christian III. He was intelligent but irresolute (he could not decide between Protestantism and Catholicism for instance), which is also part of his legacy in literature. Christian was born at Nyborg Castle in 1481 as the son of King John and his wife, Christina of Saxony. Christian descended, through Valdemar I of Sweden, from the House of Eric, and from Catherine, daughter of Inge I of Sweden, as well as from Ingrid Ylva, granddaughter of Sverker I of Sweden. His rival Gustav I of Sweden descended only from Sverker II of Sweden and the House of Sverker. Christian took part in his father's conquest of Sweden in 1497 and in the fighting of 1501 when Sweden revolted. He was appointed viceroy of Norway in 1506, and succeeded in maintaining control of this country. During his administration in Norway, he attempted to deprive the Norwegian nobility of its traditional influence exercised through the Rigsraadet privy council, leading to controversy with the latter. In 1513, he succeeded his father as king of Denmark and Norway. 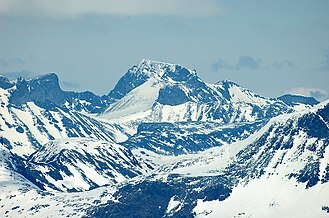 Christian's succession to the throne[of Norway and Denmark?] was confirmed at the Herredag assembly of notables from the three northern kingdoms, which met at Copenhagen in 1513. The Swedish delegates said, "We have the choice between peace at home and strife here, or peace here and civil war at home, and we prefer the former." A decision as to the Swedish succession was therefore postponed. During his reign, Christian concentrated on his attempts to maintain control of Sweden while attempting a concentration of power in the hands of the monarch, at the expense of both clergy and nobility. To further this attempt, he supported the creation of a strong class of burghers. A peculiarity, more fatal to him in that aristocratic age than any other, was his fondness for the common people, which was increased by his passion for a pretty Norwegian girl of Dutch heritage, named Dyveke Sigbritsdatter, who became his mistress in 1507 or 1509. On 12 August 1515, Christian married Isabella of Austria, the granddaughter of Holy Roman Emperor Maximilian I. 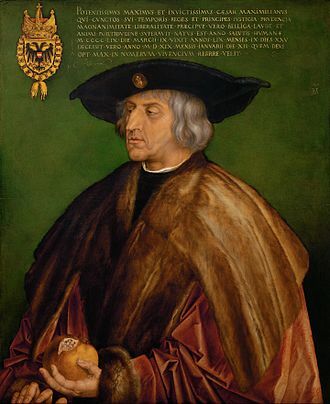 But he would not give up his liaison with Dyveke, and it was only her death in 1517, under suspicious circumstances, that prevented serious complications with the emperor Charles V.
Christian believed that the magnate Torben Oxe was guilty of Sigbritsdatter's death and, despite his having been acquitted of murder charges by Rigsraadet, had him executed. Oxe was brought to trial at Solbjerg outside Copenhagen in what amounted to a justice-of-the-peace court on vague offenses against his liege lord, Christian II. The verdict as directed by the king was guilty and the death sentence imposed with the comment, 'your deeds not your words have condemned you'. Over the strenuous opposition of Oxe's fellow peers he was executed at St. Clare's Hospital Cemetery in late 1517. Thereafter the king lost no opportunity to suppress the nobility and raise commoners to power. His chief counsellor was Dyveke's mother Sigbrit Willoms, who excelled in administrative and commercial affairs. Christian first appointed her controller of the Sound Dues of Øresund, and ultimately committed to her the whole charge of the finances. A bourgeoise herself, it was Sigbrit's constant policy to elevate and extend the influence of the middle classes. She soon formed a middle-class inner council centering on her, which competed for power with Rigsraadet itself. The patricians naturally resented their supersession and nearly every unpopular measure was attributed to the influence of "the foul-mouthed Dutch sorceress who hath bewitched the king." However, Mogens Gøye, the leading man of the Council, supported the king as long as possible. King Christian and Queen Elizabeth on an altar in Elsinore. Christian was meanwhile preparing for the inevitable war with Sweden, where the patriotic party, headed by the regent Sten Sture the Younger, stood face to face with the pro-Danish party under Archbishop Gustav Trolle. 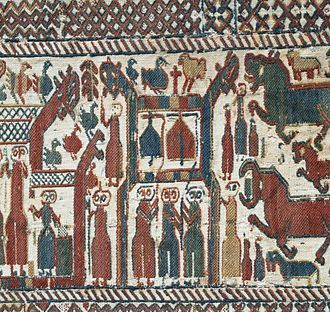 Christian, who had already taken measures to isolate Sweden politically, hastened to the relief of the archbishop, who was beleaguered in his fortress of Stäket, but was defeated by Sture and his peasant levies at Vedila and forced to return to Denmark. A second attempt to subdue Sweden in 1518 was also frustrated by Sture's victory at the Battle of Brännkyrka. A third attempt made in 1520 with a large army of French, German and Scottish mercenaries proved successful. Sture was mortally wounded at the Battle of Bogesund, on 19 January, and the Danish army, unopposed, was approaching Uppsala, where the members of the Swedish Privy Council, or Riksråd, had already assembled. The councillors consented to render homage to Christian on condition that he gave a full indemnity for the past and a guarantee that Sweden should be ruled according to Swedish laws and custom; and a convention to this effect was confirmed by the king and the Danish Privy Council on 31 March. Sture's widow, Dame Christina Gyllenstierna, still held out stoutly at Stockholm, and the peasantry of central Sweden, roused by her patriotism, flew to arms, defeated the Danish invaders at Balundsås on 19 March, and were only with the utmost difficulty finally defeated at the bloody Battle of Uppsala, on Good Friday, 6 April 1520. In May the Danish fleet arrived, and Stockholm was invested by land and sea; but Dame Gyllenstierna resisted valiantly for four months longer and took care, when she surrendered on 7 September, to exact beforehand an amnesty of the most explicit and absolute character. On 1 November, the representatives of the nation swore fealty to Christian as hereditary king of Sweden, though the law of the land distinctly provided that Sweden should be an elective monarchy. On 4 November 1520, Christian was anointed by Gustav Trolle (leader of the pro-Danish party) in Stockholm Cathedral, and took the usual oath to rule the Realm of Sweden through native-born Swedes alone, according to prescription. The next three days were given up to banqueting, but on 7 November "an entertainment of another sort began." On the evening of that day Christian summoned his captains to a private conference at the palace, the result of which was quickly apparent, for at dusk a band of Danish soldiers, with lanterns and torches, broke into the great hall and carried off several carefully selected persons. By 10 o'clock the same evening the remainder of the king's guests were safely under lock and key. All these persons had previously been marked down on Archbishop Trolle's proscription list. On the following day a council, presided over by Trolle, solemnly pronounced judgment of death on the proscribed, as manifest heretics. At 12 o'clock that night the bishops of Skara and Strängnäs were led out into the great square and beheaded. Fourteen noblemen, three burgomasters, fourteen town councillors of Stockholm were then drowned or decapitated. All of them were known to be "strongly faithful to Sture and were condemned for heresy". The executions continued throughout the following day; in all, about eighty-two people are said to have been executed. Moreover, Christian ordered that Sten Sture's body should be dug up and burnt, as well as the body of his little child. Dame Christina and many other noble Swedish ladies were sent as prisoners to Denmark. When it became necessary to make excuses for the massacre, Christian proclaimed to the Swedish people that it was a measure necessary to avoid a papal interdict, while in his apology to the pope for the decapitation of the innocent bishops he described it as an unauthorized act of vengeance on the part of his own people. 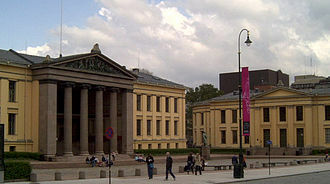 The massacre and deeds in the Old Town of Stockholm is the primary reason why Christian is remembered in Sweden, as Christian the Tyrant (Kristian Tyrann). Christian II returned to his native kingdom of Denmark. In principle he was as much a humanist as any of his most enlightened contemporaries. Deeply distrusting the Danish nobles with whom he shared his powers, he sought help from the wealthy and practical middle classes of Flanders. In June 1521, the Danish king paid a sudden visit to the Low Countries, and remained there for some months. He visited most of the large cities, took into his service many Flemish artisans, and made the personal acquaintance of Quentin Matsys and Albrecht Dürer; the latter painted his portrait. Christian also entertained Erasmus, with whom he discussed the Protestant Reformation, and let fall the characteristic expression: "Mild measures are of no use; the remedies that give the whole body a good shaking are the best and surest." 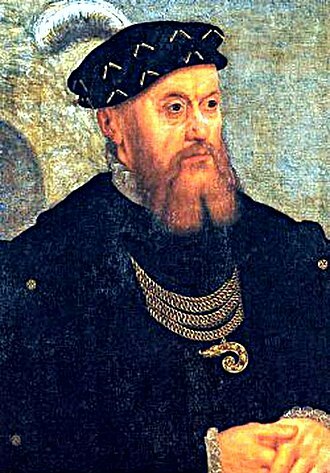 Never had King Christian seemed so powerful as upon his return to Denmark on 5 September 1521, and, with the confidence of strength, he at once proceeded recklessly to inaugurate the most sweeping reforms. Soon after his return he issued his great Landelove, or Code of Laws. For the most part this is founded on Dutch models, and testifies in a high degree to the king's progressive aims. Provision was made for better education of the lower clergy, and the political influence of the higher clergy is restricted. There were stern prohibitions against wreckers and "the evil and unchristian practice of selling peasants as if they were brute beasts"; the old trade guilds were retained, but the rules of admittance thereto made easier, and trade combinations of the richer burghers, to the detriment of the smaller tradesmen, were sternly forbidden. Christian II at Sønderborg Castle, artist concept 1871. 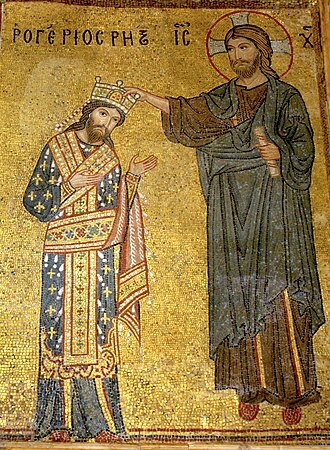 Christian's reforms, however, suggested the standpoint not of an elected ruler, but of a monarch by divine right. Some of them were even in direct contravention of the charter. 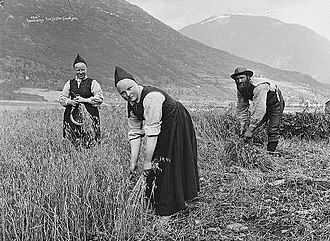 Furthermore, the old Scandinavian spirit of independence was deeply wounded by the preference given to the Dutch. Sweden, too, was now in open revolt; and both Norway and Denmark were taxed to the utmost to raise an army for the subjection of their sister kingdom. Foreign complications were now added to these domestic troubles. With the laudable objective of releasing Danish trade from the grinding yoke of the Hanseatic League, and making Copenhagen the great emporium of the north, Christian had arbitrarily raised the Sound tolls and seized a number of Dutch ships that presumed to evade the tax. This strained relations with the Netherlands, while he was openly at war with Lübeck and her allies. Jutland finally rose against him, renounced its allegiance, and offered the Danish crown to Christian's uncle, Duke Frederick of Holstein, on 20 January 1523. So overwhelming did Christian's difficulties appear, that he embarked on a ship to seek help abroad. On 1 May he landed at Veere in Zeeland. 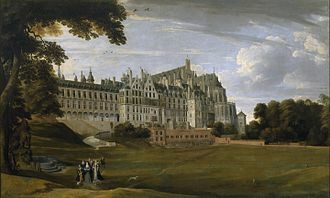 During the years of his exile, the king led a relatively humble life in the city of Lier in the Netherlands, waiting for military help from his reluctant imperial brother-in-law. In the meantime, some Danes (primarily peasants and commoners) came to remember him as a social saviour and wish for his restoration. 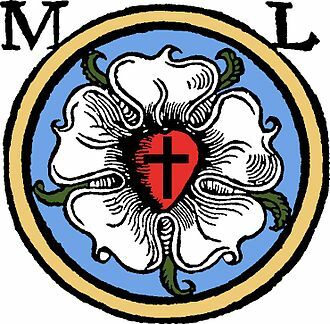 Christian found consolation in his distress by corresponding with Martin Luther and he even became a Lutheran for some time. Christian and his family lived next to Lier, in Brabant. Elizabeth died in January 1526, after which the children were taken away from Christian, so as not to be raised as heretics. But in 1530, when both his opponents, Frederick I, and Gustav Vasa, joined the Reformation and became Lutherans, Christian reverted to Catholicism and thus reconciled with the Emperor. After eight years of exile, on 24 October 1531, he attempted to recover his kingdoms, but a tempest scattered his fleet off the Norwegian coast. On 1 July 1532, by the convention of Oslo, he surrendered to his uncle and rival, King Frederick, in exchange for a promise of safe conduct. King Frederick did not keep his promise, and King Christian was kept prisoner for the next 27 years, first in Sønderborg Castle until 1549, and afterwards at the castle of Kalundborg. 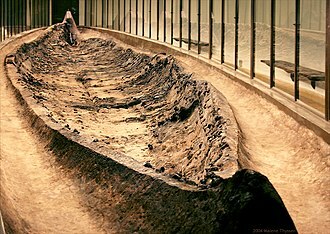 Stories of solitary confinement in small dark chambers are inaccurate; King Christian was treated like a nobleman, particularly in his old age, and he was allowed to host parties, go hunting, and wander freely as long as he did not go beyond the Kalundborg town boundaries. His cousin, King Christian III of Denmark, Frederick I's son, died in early 1559. Even then, with the old king nearing 80, people in Copenhagen looked warily towards Kalundborg. But King Christian II died peacefully just a few days later. 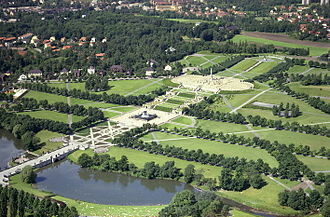 The new king, Frederick II, ordered that a royal funeral be held in memory of his unhappy kinsman, who lies buried in Odense next to his wife, son and parents. Christian II is one of the most discussed of all Danish kings. He has been regarded as both a hypocritical tyrant and a progressive despot, who wanted to create an absolute monarchy based upon “free citizens”. His psychological weaknesses have caught the interest of historians, especially his frequently mentioned irresolution, which as years passed seemed to dominate his acts. Theories of manic-depression have been mentioned, but like many others they are impossible to prove. Or power corrupted him, and he lacked the moral mettle to rule with integrity. Christian clearly made too many enemies. 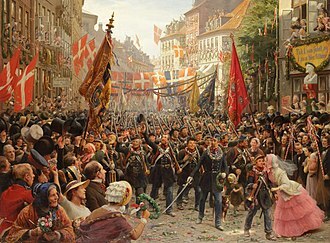 Furthermore, the Danish middle class was still not strong enough to support royal power. 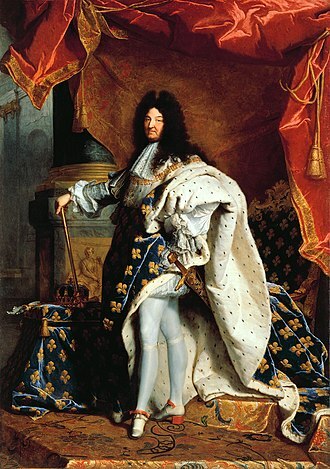 However some of his ambitions were fulfilled by the victory of absolutism in 1660. The king’s life and career created many myths. One of the most famous is the story of the irresolute king crossing the Little Belt forwards and backwards during a whole night in February 1523, until he at last gave up. Another, probably just as unlikely, is the legend that the restless king wandered around a round table on Sønderborg making a groove in the table top with his finger. His life has also inspired modern Danish poets and authors. In Johannes Vilhelm Jensen's novel The Fall of the King (1900–1901), the king is regarded almost as a symbol of the Danish “illness of hesitation”. Jean Sibelius composed in 1898 incidental music King Christian II to a play about the king, and derived from it a suite. John 21 February 1518 2 August 1532 Heir to the thrones of Denmark, Norway and Sweden. Dorothea 10 November 1520 31 May 1580 Married in 1535, Frederick II, Elector Palatine and had no issue. Christina c.1522 c.1590 Married in 1533, Francis II Sforza and had no issue, married secondly in 1541, Francis I, Duke of Lorraine and had issue. Three children of Christian II (Dorothea, John and Christina), by Jan Mabuse, 1526. His daughters, Electress Palatine Dorothea and Christina, Duchess of Milan, both in turn, for many years, demanded in vain the Danish and Norwegian thrones as their inheritance, although these kingdoms were nominally elective monarchies. However, Christian II's blood was not to return to the Swedish and Norwegian thrones until 1859, in the person of Charles XV of Sweden, whose grandmother Princess Augusta of Bavaria, was descended from Magdalene of Bavaria, the great-great granddaughter of Christian II. 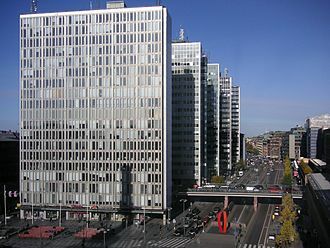 ^ Historie (in Danish), Stockholm: Royal Danish Embassy, archived from the original on 11 February 2007 . ^ a b c d e f g h i j k l m n o This article incorporates text from a publication now in the public domain: Robert Nisbet Bain (1911). "Christian II." . In Chisholm, Hugh. Encyclopædia Britannica (11th ed.). Cambridge University Press. 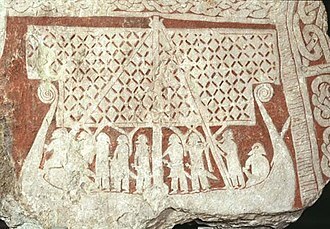 ^ Swedish Nationalecyclopdia 2000, article "Stockholms blodbad"
Wikimedia Commons has media related to Christian II of Denmark. Ripley, George; Dana, Charles A., eds. (1879). "Christian, the name of nine kings of Denmark. I. Christian II." . The American Cyclopædia. The Stockholm Bloodbath took place on the invasion of Sweden by Danish forces under the command of King Christian II. The anti-unionist party was headed by Sten Sture the Younger, a second attempt to bring Sweden back under his control in 1518 was countered by Stures victory at Brännkyrka. Eventually, an attempt made in 1520 with a large army of French, German. Sture was mortally wounded at the Battle of Bogesund, on 19 January, the Danish army, was approaching Uppsala, where the members of the Swedish Riksdag of the Estates had already assembled. The senators agreed to render homage to Christian, on condition that he give a full amnesty for past actions, a convention to this effect was confirmed by the king and the Danish Privy Council on 31 March. Stures widow, Lady Kristina, was still resisting in Stockholm with support from the peasants of central Sweden, her forces were defeated at the Battle of Uppsala on Good Friday,6 April. In May, the Danish fleet arrived and Stockholm was attacked by land, Lady Kristina resisted for four months longer, and in the beginning of autumn the tide of war started to turn in Kristinas favor. The inhabitants of Stockholm had a supply of food and fared relatively well. 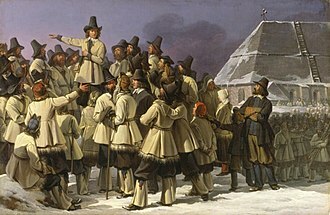 Christian realized that his stockpile was dwindling and that it would doom his army to maintain the siege throughout the winter, through Bishop Mattias, Hemming Gadh and other Swedes of high stature, Christian sent a proposal for retreat that was very advantageous for the Swedes. During a meeting on what is thought to be Beckholmen outside of Djurgården, Christian swore that all acts against him would be forgotten, Lady Kristina would be given Hörningsholm and all Mörkön as a fief, and promised Tavestehus in Finland. When this had been written down on paper, the mayor of the city delivered the keys to the city on Södermalm, shortly after, he sailed back to Denmark, to return in October for his coronation. On 4 November, Christian was anointed by Gustavus Trolle in Storkyrkan Cathedral, a banquet was held for the next three days. On 7 November, the events of the Stockholm bloodbath began to unfold, on the evening of that day, Christian summoned many Swedish leaders to a private conference at the palace. The Norwegian monarch is the monarchical head of state of Norway, which is a constitutional and hereditary monarchy with a parliamentary system. The present monarch is King Harald V, who has reigned since 17 January 1991, succeeding his father, the heir apparent is his only son, Crown Prince Haakon. The crown prince undertakes various public functions, as does the kings wife. The crown prince acts as regent in the kings absence, there are several other members of the Royal Family, including the kings daughter and siblings. Whilst the Constitution of Norway grants important executive powers to the King, formally the King appoints the government according to his own judgement, but parliamentary practice has been in place since 1884. Constitutional practice has replaced the meaning of the word King in most articles of the constitution from the king personally to the elected government. The powers vested in the monarch are significant, but are treated only as reserve powers, the King does not, by convention, have direct participation in government. He ratifies laws and royal resolutions and sends envoys from and to foreign countries and he has a more tangible influence as the symbol of national unity. The annual New Years Eve speech is one occasion when the King traditionally raises negative issues, the King is Supreme Commander of the Norwegian Armed Forces and Grand Master of the Royal Norwegian Order of St. Olav and of the Royal Norwegian Order of Merit. The King has no role in the Church of Norway. The position of King of Norway has been in existence since the unification of Norway in 872. In recent years members of the Socialist Left party have proposed the abolition of the monarchy during each new session of parliament and this gives the Norwegian monarchy the unique status of being a popularly elected royal family and receiving regular formal confirmations of support from the Storting. 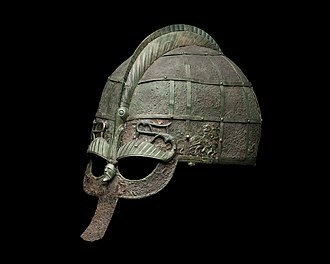 Prior to and in the phase of the Viking Age Norway was divided into several smaller kingdoms. 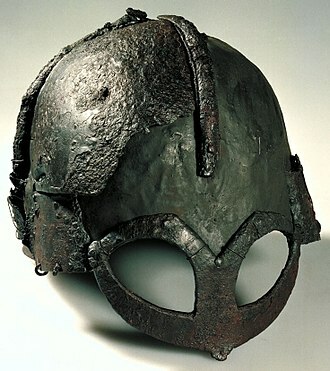 Harald Fairhair was the first king of Norway, the boundaries of Fairhairs kingdom were not identical to those of present-day Norway, and upon his death the kingship was shared among his sons. Christina of Saxony, was Queen consort of Denmark and Sweden. She was born a granddaughter of Frederick the Gentle of Saxony and she was the grandmother of Christina of Denmark through her son Christian II. 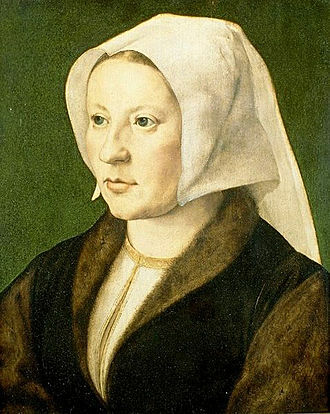 Christina was engaged to John, King of Denmark and Sweden, the year after, she traveled from Saxony to Warnemunde, where she was met by a Danish retinue who brought her Copenhagen Castle, where she was married to John on 6 September 1478. In 1481, she became queen of Denmark and she was however not crowned until 1483, when John had become king of Norway also. On 18 May 1483, she and John were crowned king and queen of Denmark, during the first twenty years of her marriage, there is not much information about Christina, and she seem to have lived a life devoted to her family. She was the mother of Christian II, Franciscus and Elizabeth, who married Joachim I Nestor, Elector of Brandenburg, Christina is described as pious, and were said to weep every time she was unable to attend mass. In 1497, John was elected king of Sweden, two years later, Christina followed him to Sweden, and on 4 February 1499, they were crowned king and queen of Sweden in Uppsala. She accompanied John on his visit to Sweden in 1500. During the 1501 visit, John entered into his affair with one of her ladies-in-waiting, Edel Jernskjæg. When the War of Deposition against King Hans and Dano-Swedish War took place that same year and he left Christina in charge of the garrison of the Castle of Tre Kronor in Stockholm as regent and as moral support for his followers. From September 1501 until 6 May 1502, queen Christina was besieged by the Swedish rebels and this was one of the hardest sieges known during the Kalmar Union, during which a garrison of 1000 men was reduced to 70 out of plague and starvation. On 9 May 1502, queen Christina surrendered to the Swedish Regent Sten Sture the Elder, according to the peace settlement, was to be kept at a convent in Stockholm until she could travel back to Denmark. When she surrendered her position, she turned herself over to lady Ingeborg Tott and she was kept first at the Black Friars Monastery of Stockholm and at the Grey Friars Abbey, Stockholm. Kalundborg is a Danish city with a population of 16,343, the main town of the municipality of the same name and the site of its municipal council. It is situated on the northwestern coast of the largest Danish island, Zealand, on the opposite, Kalundborg is famous as the location of a large broadcasting facility, the Kalundborg transmitter. 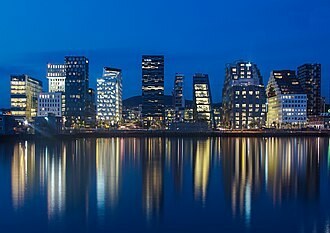 The city is home to the largest coal-fired power station in Denmark. The church itself is said to have built by Absalons brother. Kalundborg is the seat of the aristocratic Lerche family. 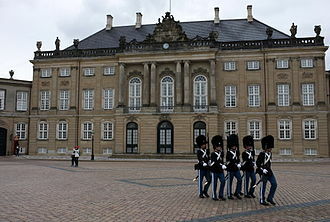 Their stately home, the best example of architecture in Denmark. Kalundborg is the birthplace of the Norwegian Nobel laureate author Sigrid Undset, ferries connect Kalundborg westward to the island of Samsø. Kalundborg is at latitude 55°41′N, longitude 11°6′E, about 110 km west of Copenhagen on the island of Zealand, the Kalundborg area was first settled in 1170 at a natural harbour at the head of the narrow bay today known as Kalundborg Fjord. 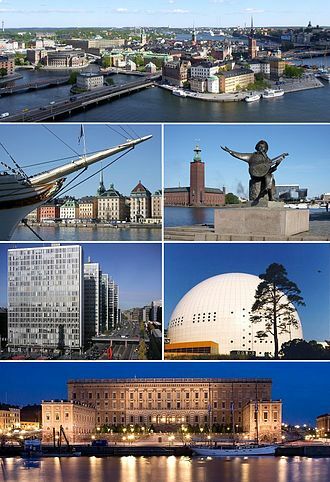 It became more urbanized during the century and had grown into a major industrial centre by the mid-twentieth century. Kalundborg Municipality has approximately 20,000 inhabitants, and its network is the most published example of Industrial Symbiosis, the City of Kalundborg took the responsibility for building the pipeline while the refinery financed it. 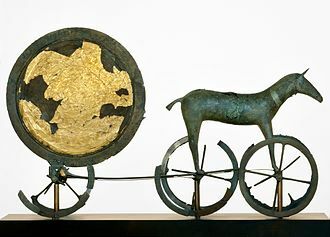 Starting from this collaboration, a number of other collaborative projects were subsequently introduced. By the end of the 1980s, the partners realised that they had effectively self-organised into what is probably the best-known example of Industrial Symbiosis, Kalundborg Municipality is home to approximately 19,000 jobs of which 13,000 are in the private sector. Novo Nordisk has extensive facilities in Kalundborg with a total of more than 2,400 employees. Since 1999 they have invested more than DKK7.5 billions in the complex, pronova BioPharma Danmark, a bulk manufacturer of Omega-3 products which was acquired by BASE in 2014, has a manufaction plant in Kalundborg. The port plays a role in the towns economy. It is a municipal self-governing port with independent finances, Kalundborg Container Terminal is served by Unifeeder on a weekly basis. Elizabeth's gravestone in Odense Cathedral. Portrait of Isabella, age 2. Isabella is on the right. She is pictured with her brother Charles and her sister Eleanor. Portrait in mourning by Hans Holbein the Younger, 1538. National Gallery, London. Stockholm Bloodbath as it was depicted in Blodbadsplanschen. Portrait by Jan Mabuse, 1526.